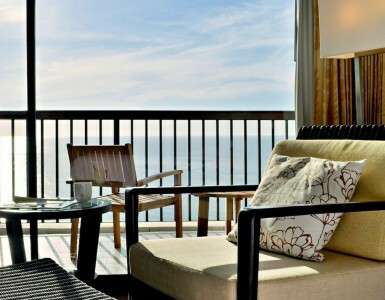 Novotel Hua Hin Cha Am Beach Resort and Spa is one of the most popular seaside resorts in Hua Hin. 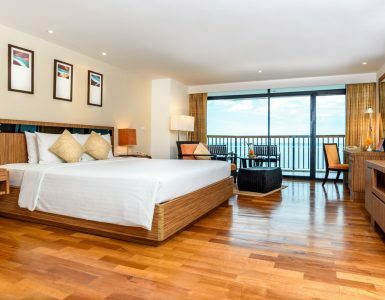 This Hua Hin Beach Resort located only a 2 hours drive from Bangkok, the hotel is easily accessible by car, bus or train. A long beach with golden sand is right in front of the hotel, from where you can admire the peaceful ocean. Featuring a large swimming pool with waterslide, the highest rooftop in Hua Hin, a beachfront restaurant, a kid’s club, a spa and sport’s bar, Novotel Hua Hin Cha-Ham is the perfect place for fun-filled family holidays. Sip a cocktail on the rooftop, indulge in a massage or simply take a dip in the pool while your children have fun at Kid’s club. Enjoy walks on the beach while watching the sun set on the sea. While staying at this Hua Hin Beach Resort you will certainly want to explore the cities must-see attractions, such as Mrigadayavan Palace and the famous railway station. These two historical sites are easily accessible from the hotel by car. If you do not have a car, simply ask our front office team who will happily arrange a taxi for you. If you want to take selfies, do not miss visiting Hin Lek Fai or Khao TaKiab viewpoints. 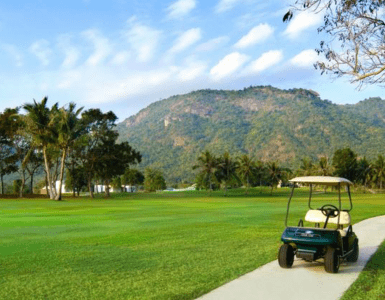 You will admire the stunning scenic view over Hua Hin town and the Gulf of Thailand. The popular Hua Hin night market is also not to miss. From fresh seafood to clothes and jewels, there’s something for everyone at this popular market. Cicada market showcases a large selection of handmade goods, artist shows and live bands. For families with children, we advise visiting the very popular Vananava water park, Black Mountain Water Park or Santorini.